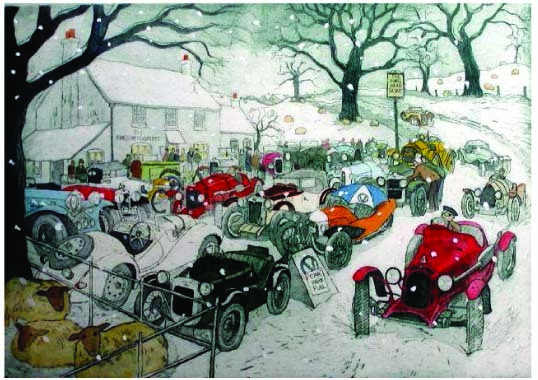 Work featured in Classic and Sportscar magazine in January 2000 issue. Slightly naïve style likes working in mezzotint, aquatint and pastel. Regular exhibitor at motoring art exhibitions.